This time I want to have a look at Britain where there are many neolithic sites to be found dotted across the landscape. 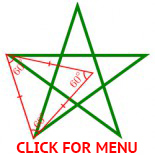 These sites consist mainly of stone circles or trilithons (vertical stones supporting a raised horizontal stone). 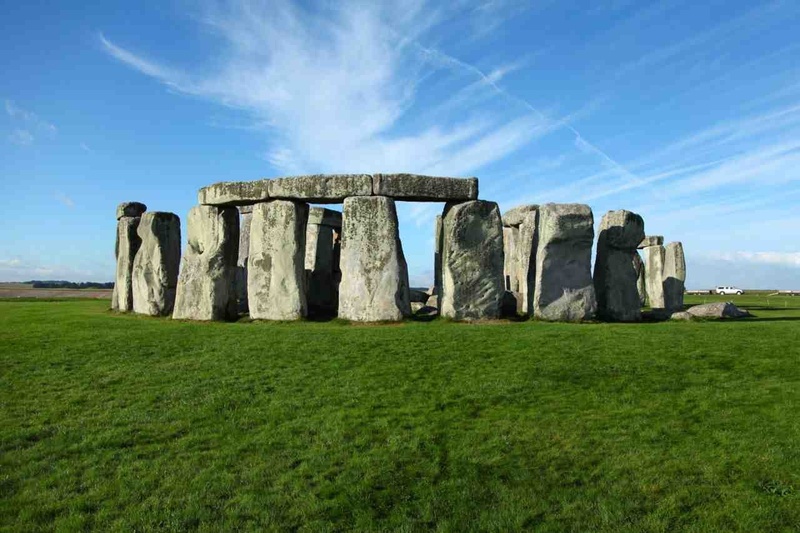 There are more than 900 known stone circles in the British Isles but the most famous one is Stonehenge, located on the Salisbury plains in Wiltshire, South England. Stonehenge is the iconic image of ancient Britain and according to orthodox history Stonehenge is OLDER than the great pyramid of Giza. This bronze age monument was gradually developed over a period of 4-5 centuries. 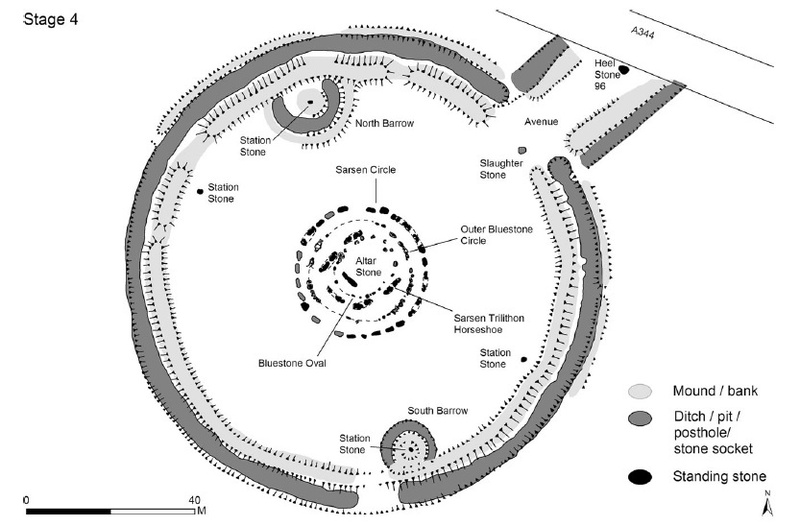 The first structure is thought to have been built on the site around 3000 B.C. It seems that the ancient Brits made a temporary “woodhenge” before committing to making a permanent stone structure. I think they used wooden poles to mark out the intended alignments which the stone monument would later forever record. The large trilithons of this stone circle were built with enormous blocks of semi-carved sandstone. These blocks are called Sarsens and are on average 9m tall (20-22ft) and weigh approx 20-30 tons. These sandstone blocks were quarried from the Marlborough Downs, which is approx 20 miles to the north of Stonehenge. Some people think they were transported by water for the greater part of their journey on wooden rafts. The most likely route being along the south coast of Wales, crossing the Avon River near Bristol and then heading southeast to the Salisbury Plain. 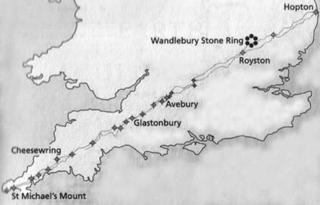 Alternatively, the stones may have come by boat around Land’s End and along the south coast of England before heading upriver and finally overland to Stonehenge. 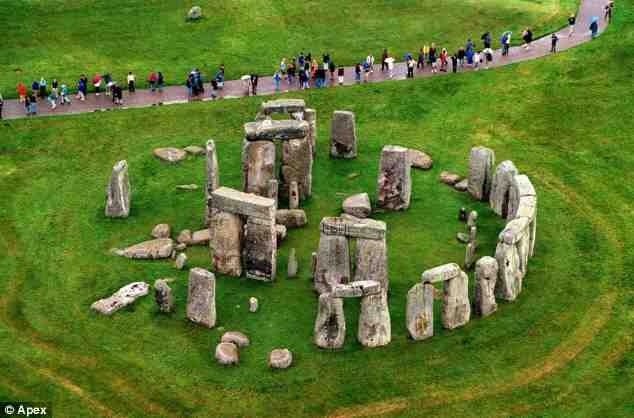 Another popular idea is that the bluestones were deposited in Wiltshire by the movements of a glacier during the last Ice Age. No one knows for sure why this specific site or stone circle was more important than any of the others, but the ancient people maintained this site and continued to use it for thousands of years after it was built. Today the romantic vision of magical druids beneath a full moon performing naked rituals amongst the giant stones predominates our modern image of this monument, but most research suggests that Stonehenge was built for solar worship, or more precisely, the observation of the sun’s movements throughout the year, so even though Stonehenge became a focal point of religious worship, it is thought that It was primarily constructed as an astronomical observatory. 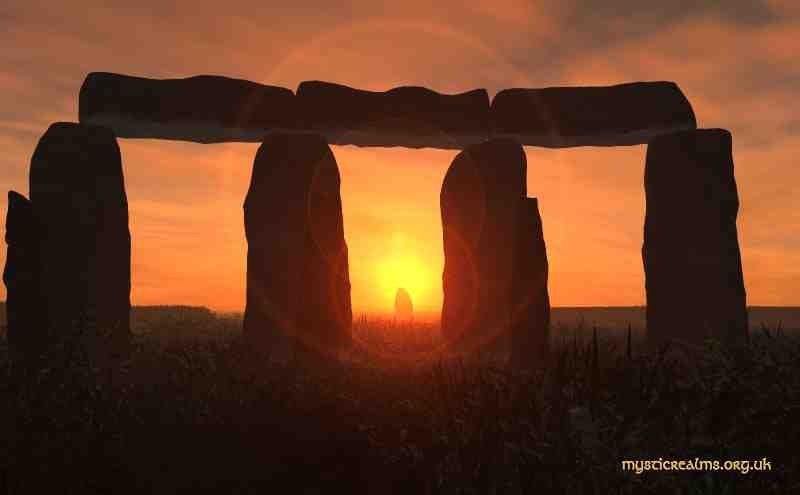 In the northern hemisphere the summer solstice falls around June 21st each year. The summer solstice is the longest day of the year. Countries north of the equator will experience more daylight hours on this day than any other time of the year. This is because the earth has a tilted axis and this makes the sun rise at a different point on the horizon each day. 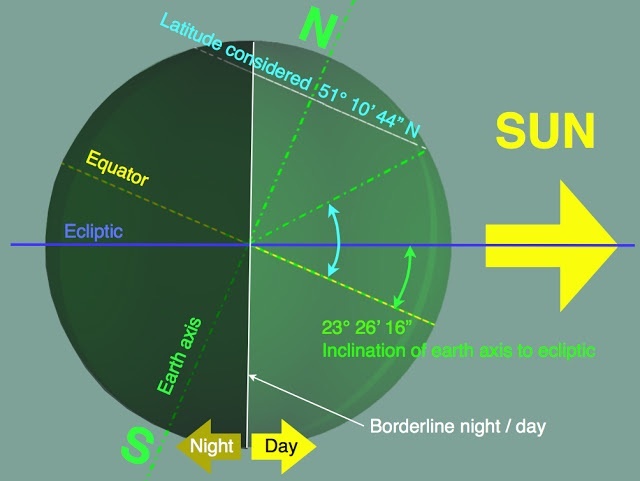 On the spring & autumn equinoxes the rising point of the sun is due east (in the middle), but on the other days of the year the sun is either rising to the right of due east, moving further south day by day towards the winter solstice, or rising to the left of due east, moving further north day by day along the horizon towards the rising point of the sun on the morning of the summer solstice which is marked at Stonehenge by a single large block called the “Heel stone”. ThIs peculiar Heel stone is positioned outside of the main stone circles and marks the rising point of the sun on the summer solstice as viewed from the centre of the circle, which is 39’4″ north of due east. On the evening of the winter solstice (around December 22nd), the sun also appears to set in the middle of the three great stones at Stonehenge known as the “Trilithon”. 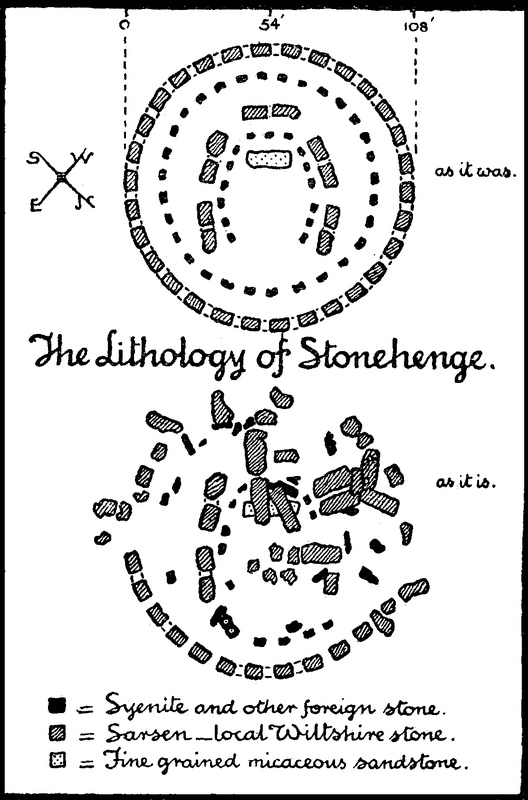 It is believed that Stonehenge also sits on the cross point of one of the most prominent Ley lines in Britain.